What is a vampire? Nearly a century ago, this question wasn’t difficult to answer. 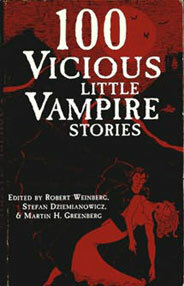 If you subscribed to the image of the vampire immortalized in Stoker’s 1897 novel, Dracula, the vampire was evil incarnate, a creature whose supernatural existence and gruesome means of sustenance contradicted the norms by which civilized human beings measured what was natural and morally proper. With his nocturnal habits, the vampire served as a potent symbol for humanity’s unenlightened superstitions; in his evocation of primal darkness, he became a counter-symbol of the divinity who turned the darkness of the void into light.